Ever wondered how 3D printers work and what you can create with them? 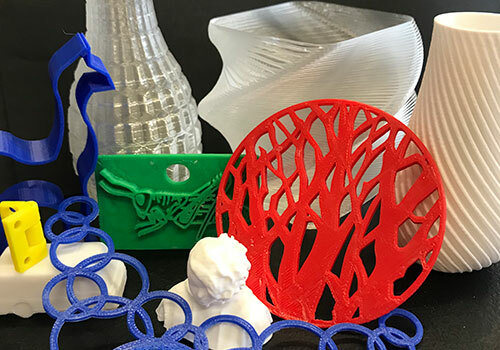 This three-week workshop will provide an overview of 3D printing from start to finish, including demonstrations, software, preparation, designing, and of course, printing. For ages 15 and up. Registration required. This workshop begins on Monday, April 15, and continues for the next two Mondays.